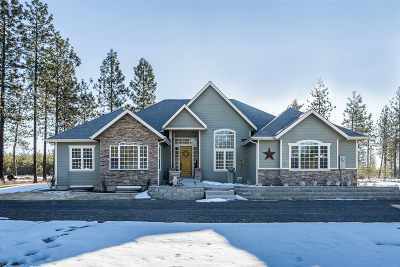 12469 Night Hawk Way, Nine Mile Falls, WA.| MLS# 201912862 | Cooper Realty Services (509) 599-1111 | Spokane WA Real Estate | Contact us to request more information about our Homes for Sale in the Spokane WA area. Serenity awaits! Wildlife and quiet living in Nine Mile Falls just outside of Spokane. Beautiful 6 bdrms 4 baths in Quail Run gated community. Home boasts nearly 5,300 sf of living! 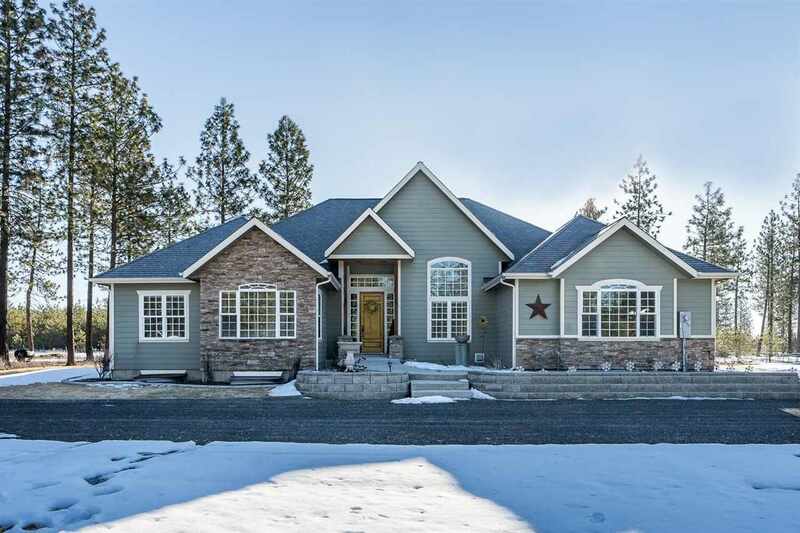 Main: vaulted ceilings, formal DR, LR, spacious kitchen w/ custom cabinetry, informal DR, and big pantry. Oversized mstr bdrm w/ tiled mstr bath, dual sinks, garden tub. Main floor laundry. Hardwood thru out. Full basmt: 2,647 sf with 3 bdrms, 1 bath, full kit, separate entrance. Level 2.56 Acres. Lake park Membership avail.